Buy Ko-fi a Coffee. 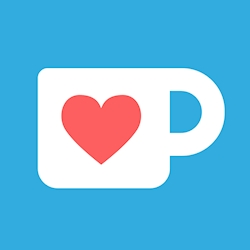 ko-fi.com/supportkofi - Ko-fi ❤️ Where creators get paid by fans, with a 'Buy Me a Coffee' button. Our passion is helping artists and creative souls receive income from their supporters so they can keep creating amazing things. If you'd like to support the site and get some cool features, please check out Ko-fi Gold - https://ko-fi.com/gold Thank you! Hello! Thanks for using Ko-fi! Ko-fi is a totally *free* service. Unlike other services, we don't take a fee! If you get enjoyment from this site, your support would be massively appreciated. Servers and development cost money. Donations help us build new features faster and help us to help fuel creative passions. We really dislike ads, so your donation helps us keep Ko-fi Ad-Free and Fee-Free! If you'd like to leave us a message, feel free to say what you'd like to see or what you enjoy about Ko-fi . All suggestions are considered. Thanks again! And please if you're not able to donate with money, please share Ko-fi and other peoples' Ko-fi pages. Secured Payments. Support goes to Ko-fi's account. Upgrade Ko-fi to a yearly Gold Membership with a one-time payment.